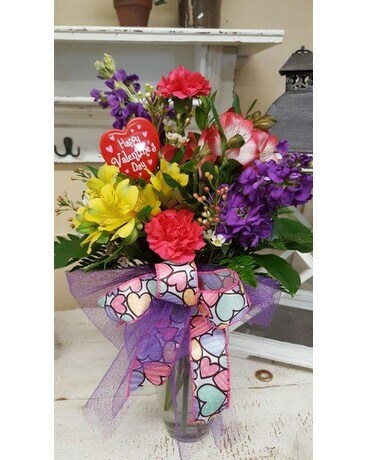 This beautiful vase is filled with a colorful mix of purple, pink and yellow flowers. Including carnations, alstromeria and sweet smelling stock! Accented with a Valentine's pick and festive bow.